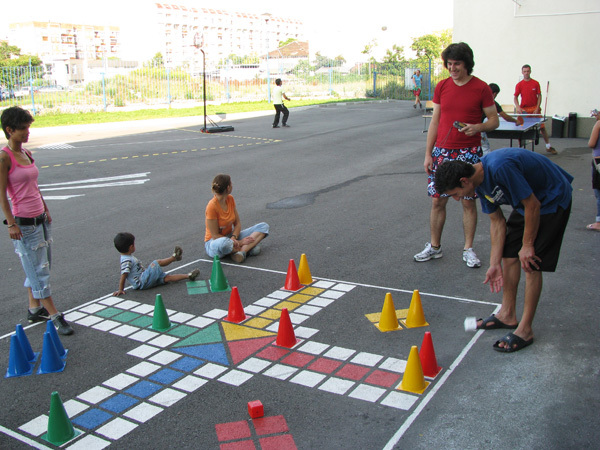 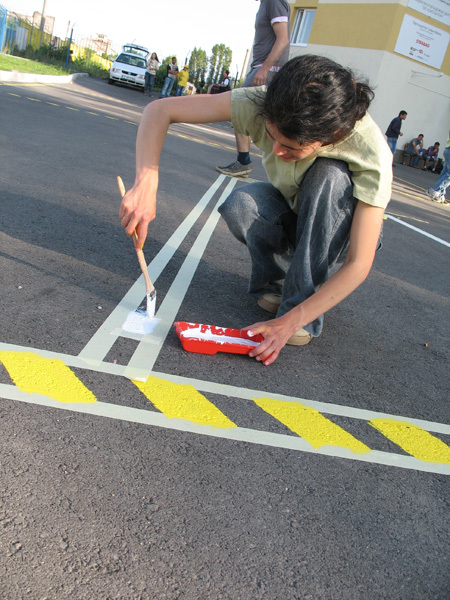 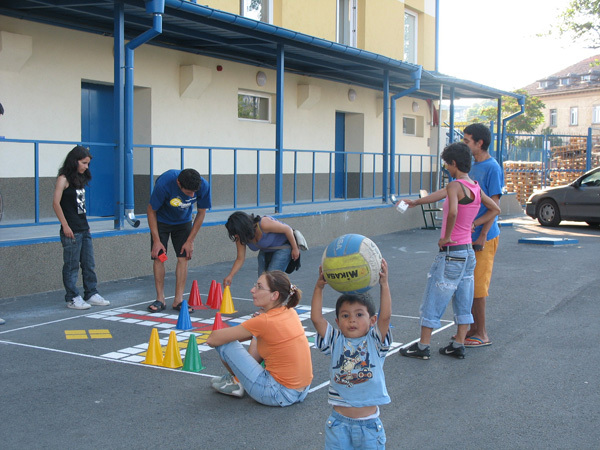 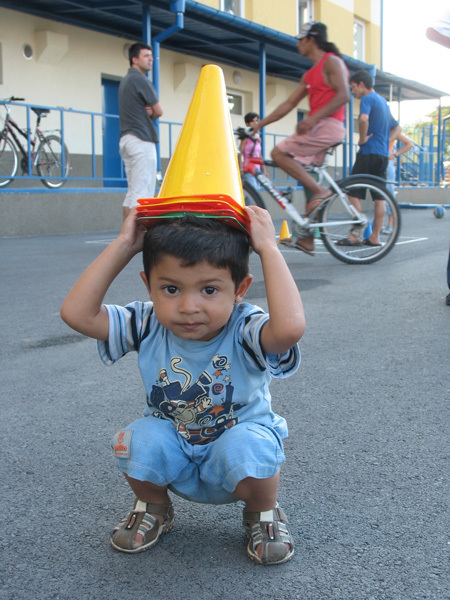 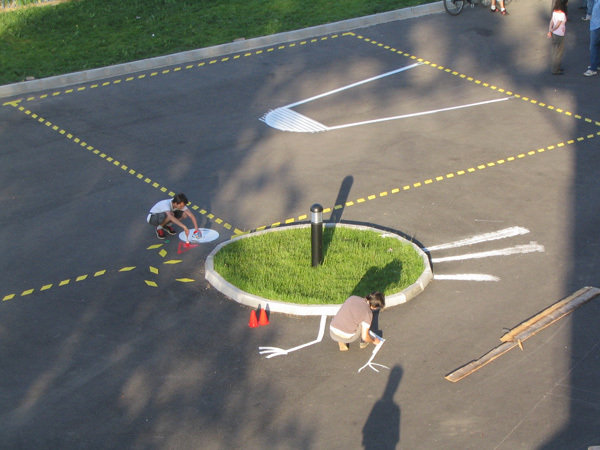 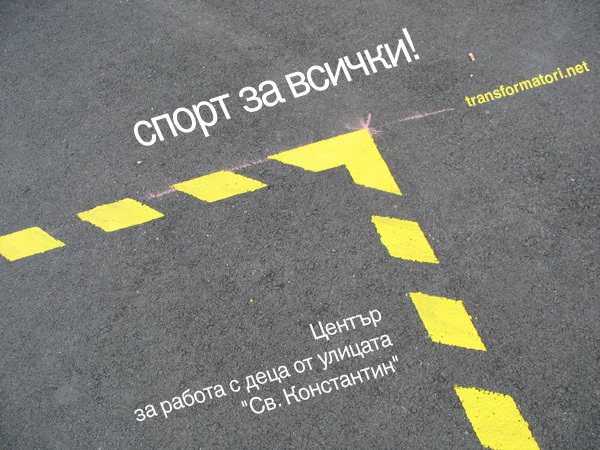 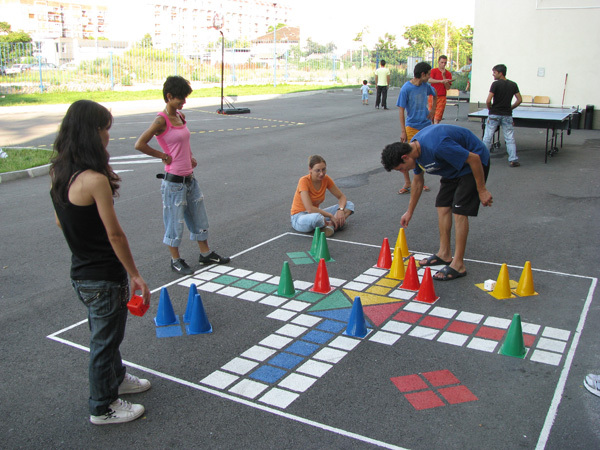 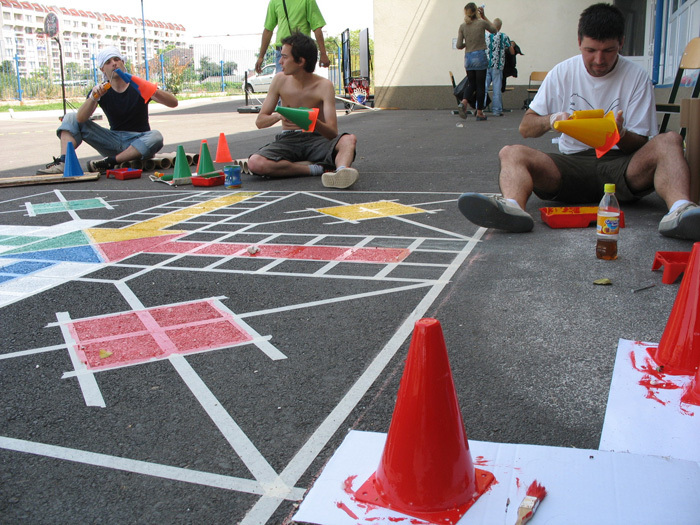 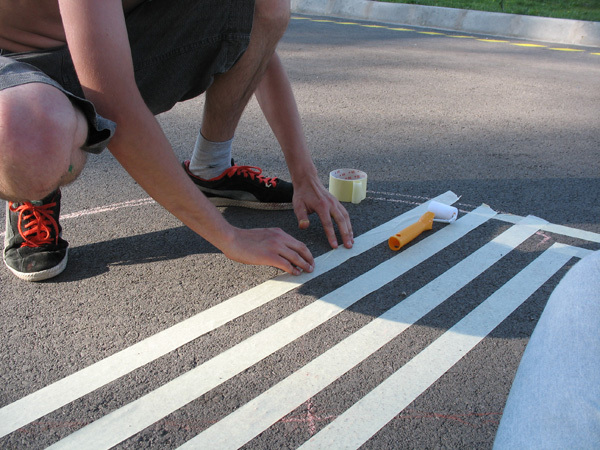 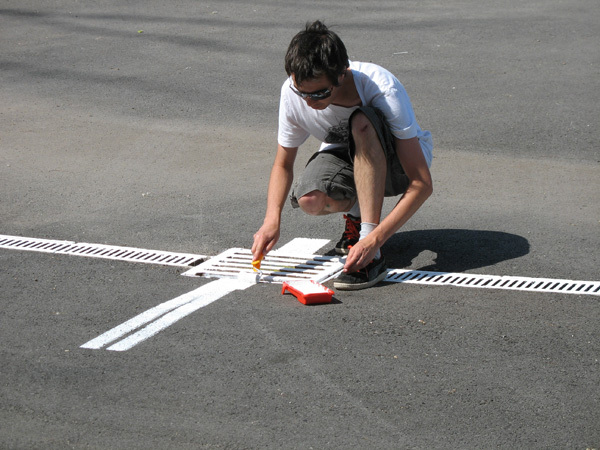 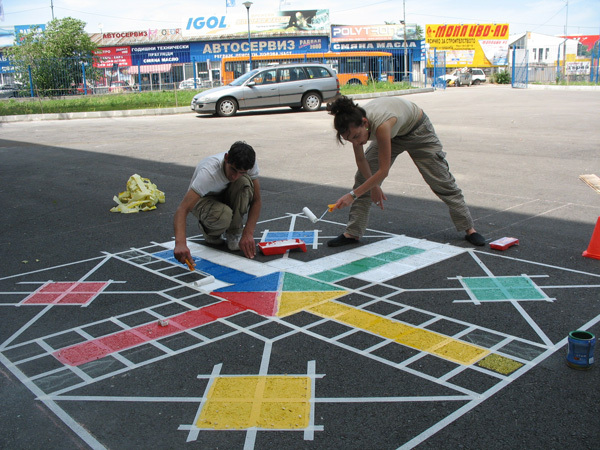 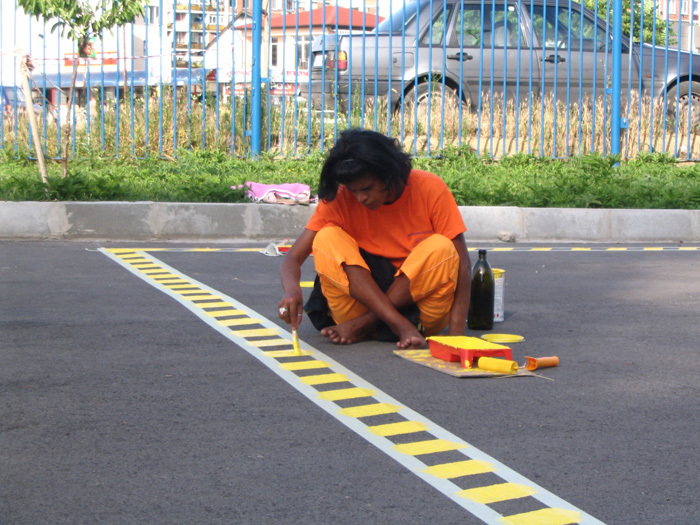 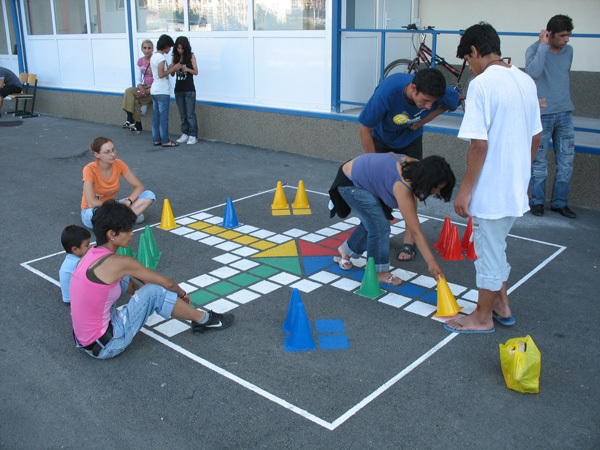 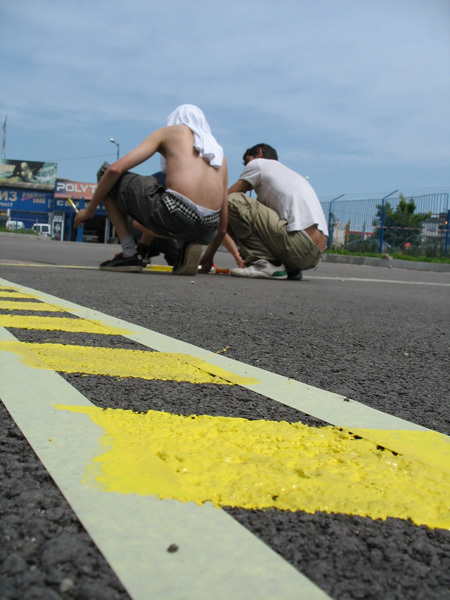 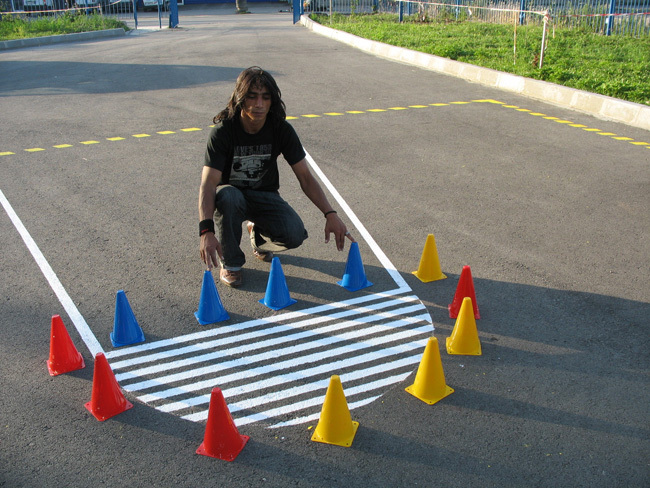 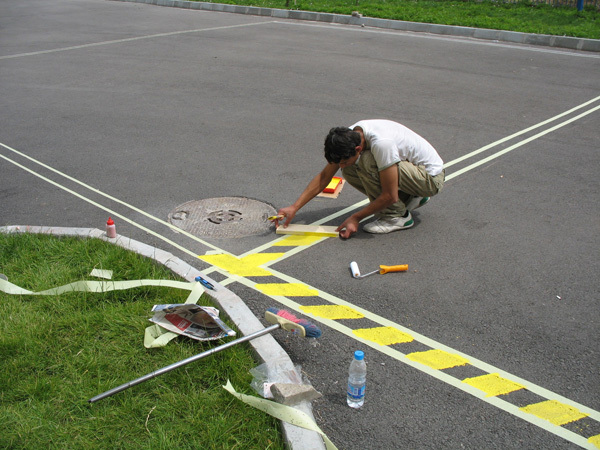 Iniciative for the adaptation of the blank asphalt yard of Social and Youth Center “St. 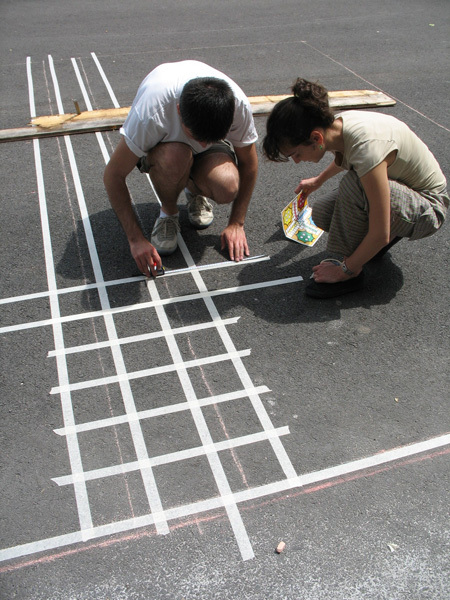 Constantine” and turning it into a field for games and communication. 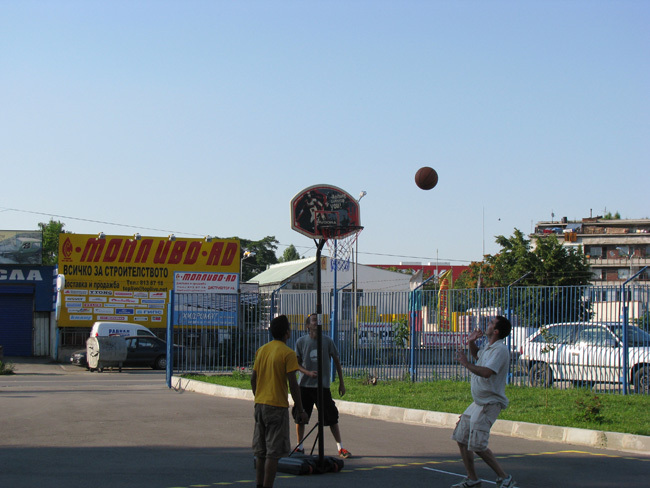 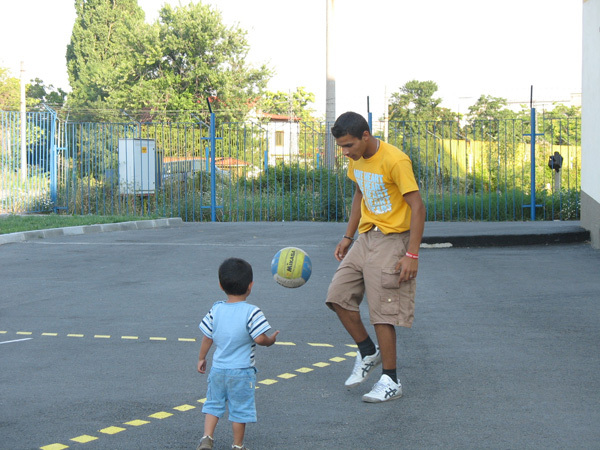 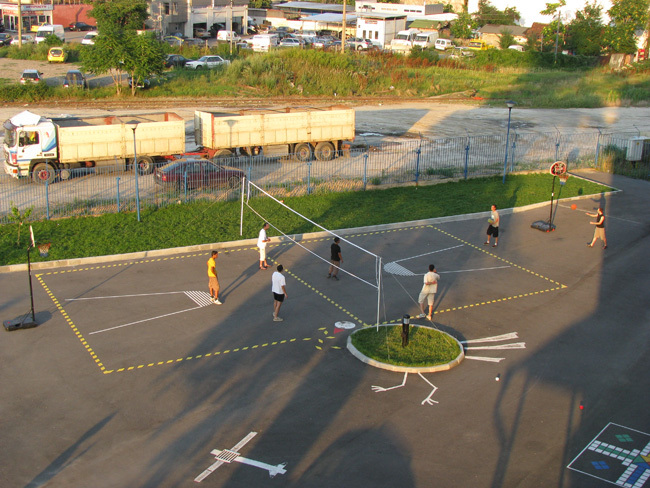 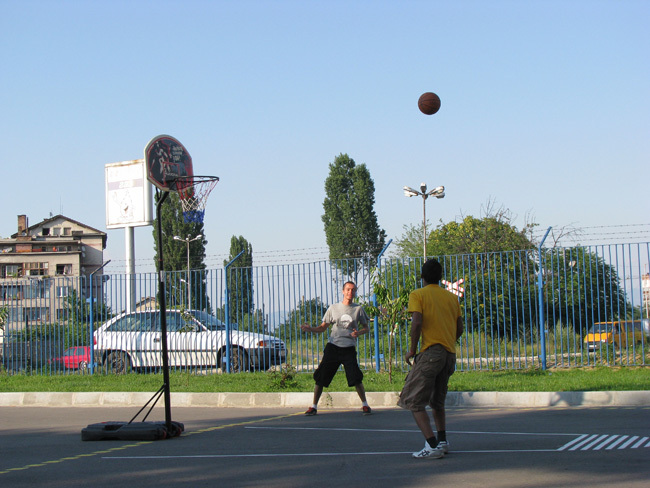 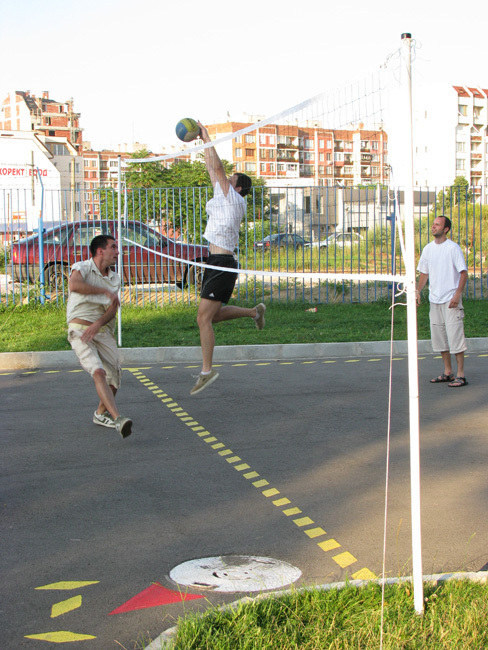 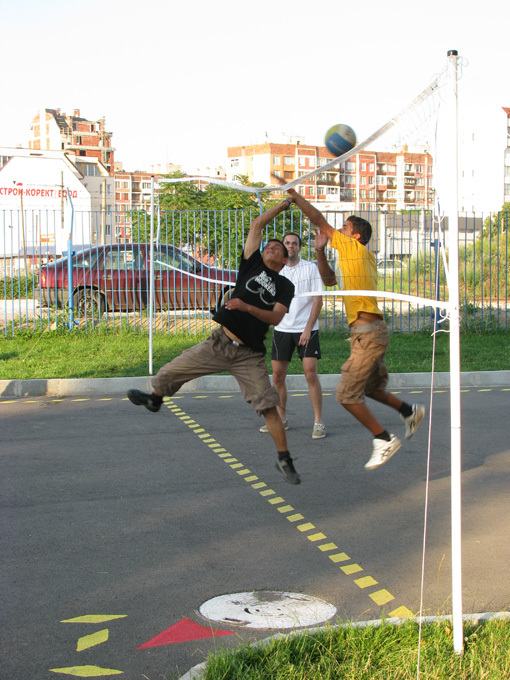 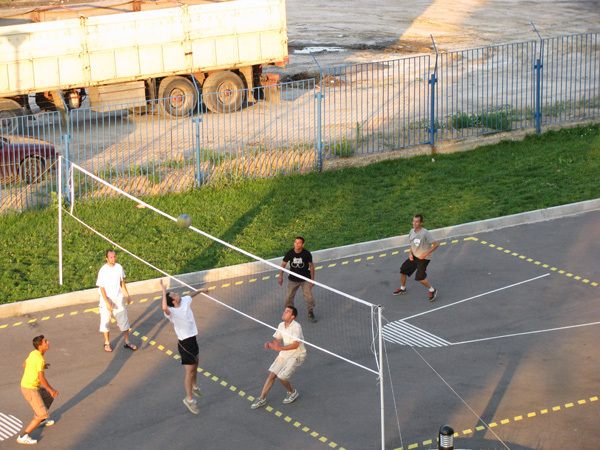 Foundation “Concordia”, which manages the Center, invited us to draw a field for both volleyball and basketball. 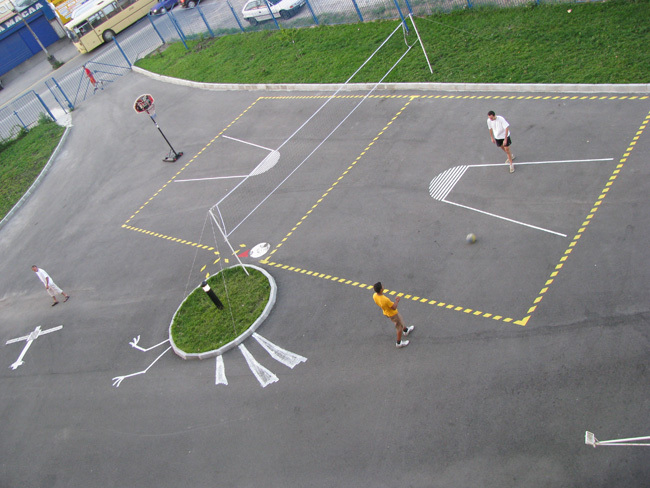 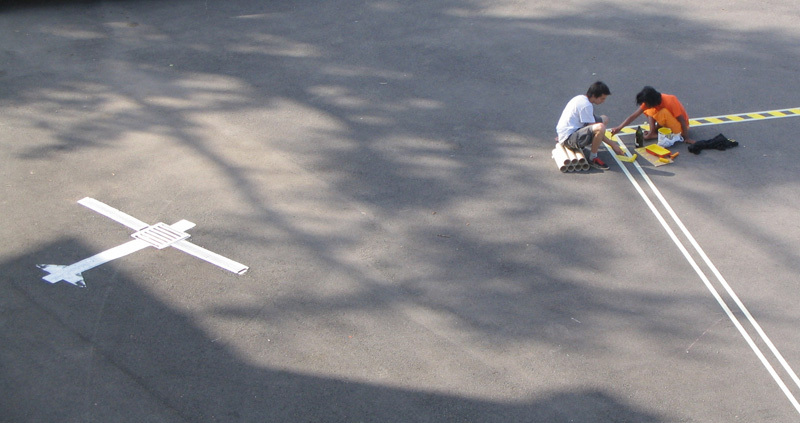 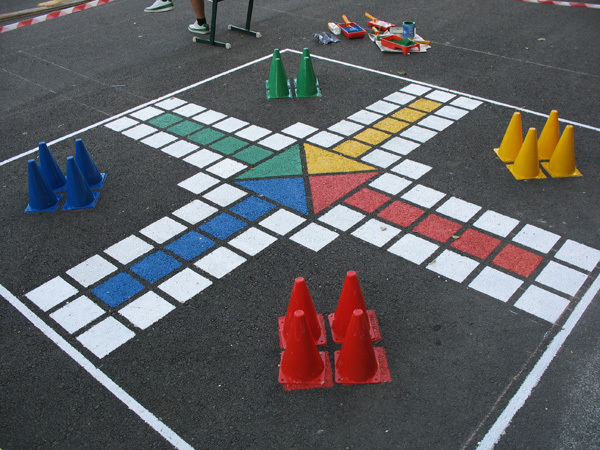 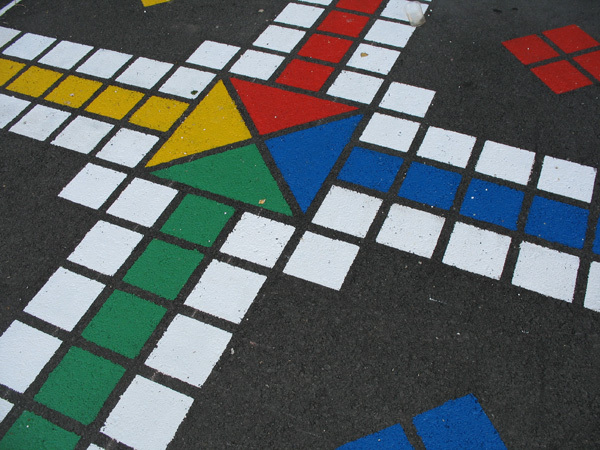 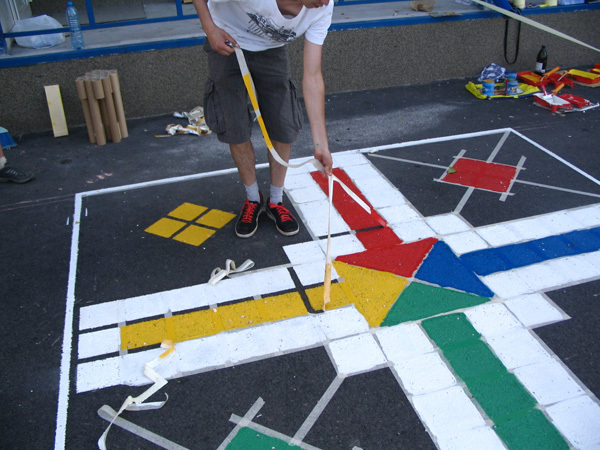 Inspired by the power of sport to socialize and removes any limits on communication in various groups of society, we decided to complicate the task within the gaven materials and drew the entire yard. 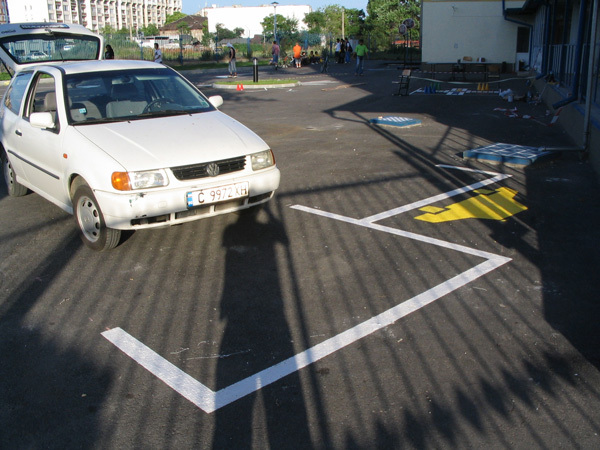 Under the hot rays of the sun and with the help of 2-3 volunteers from the social center we managed to finish in a day and painted: a combined volleyball and basketball, a don’t-get-angry- man game in human scale, two parking spaces marked , chess, chess and few other paintings on the ground. 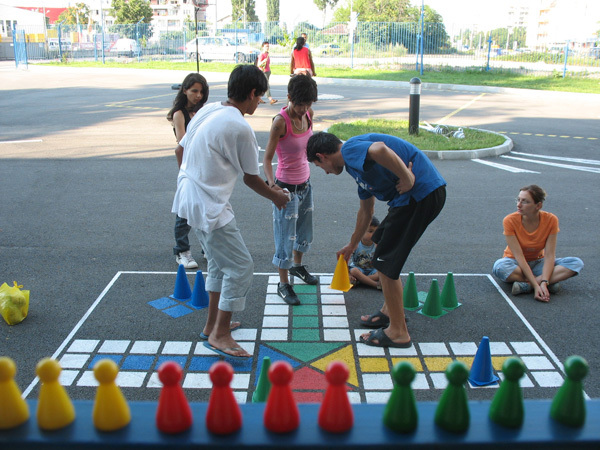 Avgustina Veleva / Anna Kalinova / Eli Chakarova / Martin Angelov / Valeri Gyurov / Todor Atanasov / Delcho Delchev and volunteers from the social center.